I'm excited to take a minute to tell you all about a new feature at The Qwillery called Retro Reviews. Retro Reviews will be going against the grain a bit. 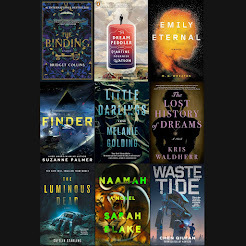 For these reviews, we'll be focusing on books in the speculative fiction genre with a key difference—the books we'll be reviewing will not be new or soon-to-be-published. Now, you might ask, well, what does that mean? I've defined it as any book that is at least five years older than the current date. Today is September (fill in the date), 2014, so I can read any book that was published before September 2009. I felt it would be good to have a rolling date so I will always have new books to read. I've been a fan of speculative fiction since I was a teenager in the 90s, but I'll be honest, I haven't read a lot of the pioneers of my chosen genres. There are also books that have since been published that I haven't gotten around to reading yet. I don't think I'm the only one out there with the same problem. I will pick random books from my own bookshelves, libraries, friends homes, and, used bookstores. Retro Reviews will have a slightly different look and feel than the other reviews. I will endeavor to share a bit of information about the author and/or book if I can find some interesting information for you. I might even review an entire series at one time. I'll be rating the books on a simple scale of “don't bother reading this book, borrow it from a friend or library, or scour the earth until you find your own personal copy.” I'm sure I'll pick books you have no interest in or you've already read, but stick with me and I'm bound to find something you haven't read. If any of you have a book or author you've always wondered about, but don't have the time to give it a go, let me know and I'll read it. 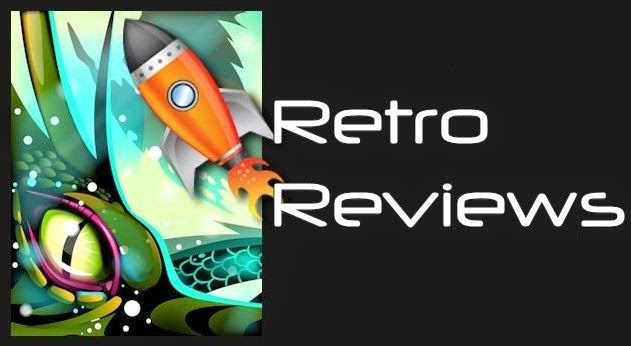 Retro Reviews will be something I do between my current New Fiction reviews, so don't look for a new Retro Review each week, I'm hoping to have at least two a month. I invite you to join me on my exploration of our collective fictional past. Availability: You can find it online or in bookstores easily. Frank Herbert started his writing career as a newspaper reporter in the Pacific Northwest. He served as a photographer during World War II and published his first fictional story in Esquire in 1945. 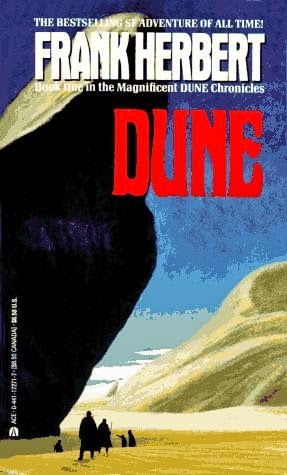 Frank Herbert was inspired to write Dune while living in Oregon and witnessing the government's attempts to control the sand dunes near the coast with poverty grass. He went so far as to write an article about what he witnessed called, “They Stopped the Moving Sands.” Dune was originally published in Analog magazine from 1963 to 1965 before he expanded it and looked for a publisher. He was rejected by over twenty different publisher before Chilton Books agreed to publish the book. Chilton Books was better known for publishing auto-repair manuals. Dune won the 1966 Hugo award and the very first Nebula Award for Best Novel. It has received wide acclaim as the best science fiction novel ever written. In 1971, the movie rights were sold and have had a troubling history in film ever since. A recent documentary, Jodorowsky's Dune, gives a glimpse into the troubles a book like Dune has caused for directors in their attempts to make it into a film. David Lynch was the first to actually finish a film based on the book in 1984 and the Syfy Channel has since made two mini-series based on the book. The last attempt to remake the film failed in 2011. Dune has also inspired games, musical albums and many other cultural influences. Set in the far future amidst a sprawling feudal interstellar empire where planetary dynasties are controlled by noble houses that owe an allegiance to the imperial House Corrino, Dune tells the story of young Paul Atreides (the heir apparent to Duke Leto Atreides & heir of House Atreides) as he & his family accept control of the desert planet Arrakis, the only source of the "spice" melange, the most important & valuable substance in the cosmos. The story explores the complex, multilayered interactions of politics, religion, ecology, technology & human emotion, as the forces of the empire confront each other for control of Arrakis. I thought I would start my inaugural Retro Review with a bang. Since I've already read The Lord of the Rings, I looked to the biggest Science Fiction book out there and by all accounts that's Dune. I have to admit I feel bad this is the first time I've read Dune. I've always meant to read it, but that's the point of Retro Reviews, to correct the wrongs I've made in my reading career. I went into this book with a lot of baggage. I think anyone would when it comes to a book this famous. It's won two of the biggest awards in its field, and has been made into some really bad movies. It's referenced in pop culture and we already know what our friends think of it. We might even read the book because we're sick of getting harassed about not reading the book. All of this creates a very high expectation for the book, and to prove how unbiased I plan to be in these Retro Reviews, I'll be honest, the book fail flat on it's face for me, for the first 300 pages. Now, before anyone gets ready to call me names and burn me in effigy, let me explain. I loved the last part of the book, which made me want to go back and re-read the first 300 pages, which for me is a win. Now, why didn't I like the first 3/4ths of the book? There are two reasons. It starts almost immediately in the middle of a political battle between two great houses I knew nothing about, so it took some time to figure out who was who and what their motivations were. Then, once all of that was settled, I was stranded right in the middle of a strange planet and had to learn all about it and the people who live on it. That can be a lot of information for any reader to take in before any real action or plot happens. Now, I know you're going to say things were happening, and I agree, but very slowly. In my admittedly limited experiences in true Science Fiction, I've noticed that most books can be categorized as either books about ideas or books about events. The event books have plenty of action to keep the readers going. Idea books, which I think Dune falls under, spend most of their time on a central idea. Dune is all about ecology—the change a planet makes on its inhabitants, and, in this case, the universe, and what would happen if someone could then change the planet? Granted, this is a very cool idea, and it explains why we spend so much time learning about the planet Arrakis and the spice, but I'm more of an events reader, so things didn't really pick up for me until I got to see some battles. Onto Herbert's writing craft, he is a master at world-building and should be studied by any writer. You can tell, even after spending the majority of the book learning about the planet, we're still only cracking the surface of the rich history of Arrakis. I can't say the same about the characters. For me, the only character I really felt was well-rounded was Lady Jessica. I never really felt connected to Paul until the very end of the book, which, to me, is a mistake. I think the reader should connected to the hero first above all others. I also didn't respect the villain’s motivations. As an idea book focused on ecology, I don't think character development is as important as world-building, so maybe that's why Herbert didn't develop his characters more. Dune is still relevant in today’s world, maybe even more so then when it was published 49 years ago. 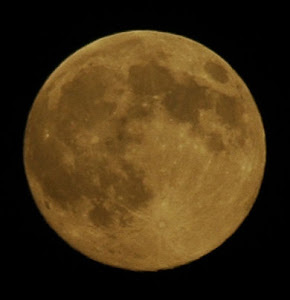 We can see our planet changing by our actions. Now that you know the power one person holds, will you take what you read and make a difference? As a reader, you'll need to decide which type of Sci-Fi fan you are, events or ideas. Once you've looked deep into your soul you'll know if you'll love Dune or appreciate it for what it means to the genre. 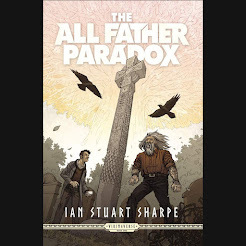 Either way, I think every fan of speculative fiction needs to read this book, so I'm going to recommend you borrow the book from your local library or from that friend who keeps nagging you. Once you've read the book you can then decide if you need to buy it or not for your personal library. There's very minor violence and only suggested sexual themes, and minor, if any, use of strong language. I would have no problem recommending this book to teens and adults.